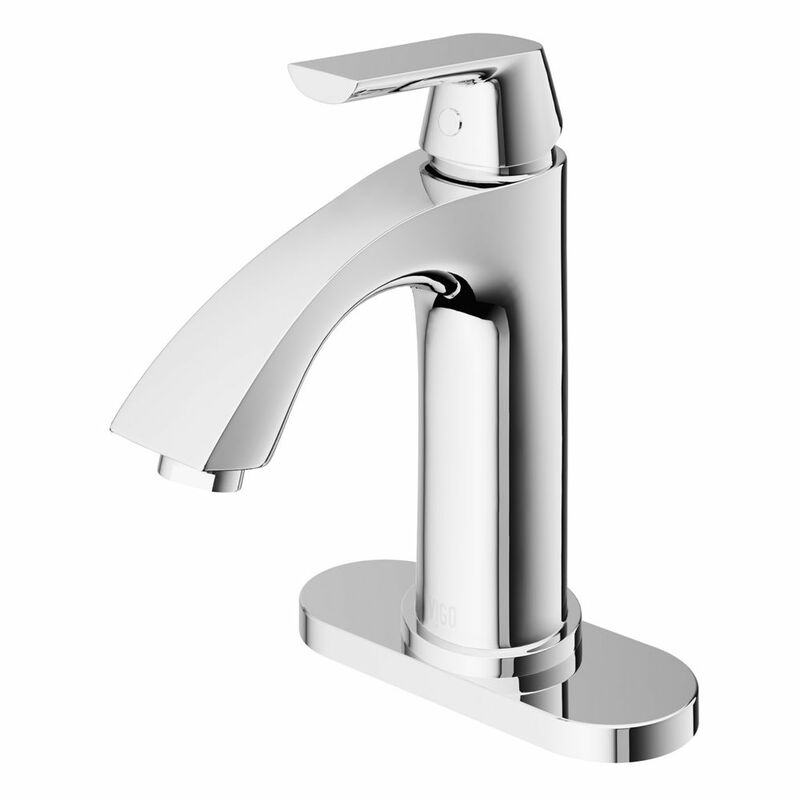 Single-Lever Bathroom Faucet with Deck Plate in Chrome Finish is rated 4.8 out of 5 by 5. Rated 4 out of 5 by Charlotte from The faucet was beautiful but larger than expected. It was... The faucet was beautiful but larger than expected. It was meant to fit in a tiny closet bathroom I had to return it and look for something smaller. Rated 5 out of 5 by RPT44 from Great Design! Very modern, sleek design! Easy installation - comes with two flexible hoses- but does NOT come with a drain plug so we had to purchase a push pop-up drain separately.